Here is a new thread about channeling, continued from the "second stage spiritual" thread. What JWG taught was that the 'channeling' in general is an 11th House, Aquarius, and Uranus archetype but that most who claim to 'channel' are in fact 'channeling' their own individuated unconscious and/ or sub-conscious. We need to remember that the individuated unconsciouns in all of us correlates to our own 'long term' memory that connects to not only this life, but the individual memories of our own past lifetimes. This is why he also taught that so many of these 'channeling' messages from so many seem to conflict with one another. And it's also why so many of the 'channeled' messages simply don't come true at all, as in Claire Prophets case and many others. Or, I go to see an intuitive who "channels" my guides who have messages for me etc.. In all of those cases, the psychic readers and my playing the guitar are not actual channeling phenomonon. The reason for that is the individual ego (moon, nodes) is still acting as a filter for the information that is coming through. So while there may be actual information that the psychic can gather from my father, and while there is actual information about something coming my way that the psychic can perceive, and while I am tapping into a vibration/resonance... in all those cases there exists a personal filter that prevents in an absolutely clear reception. The nature of that filter is unconscious- as it comes from each soul's long term memory of the past. The reason these memories are entirely unconscious are because to remember them would mean to have released identification with the past. Thus, releasing supressed memories (Aquarius) challenges the resistance of each soul to face it's evolutionary neccesities (squaring Scorpio) and implies a natural crisis between the soul's actual nature and the ego the soul has created for itself as a means to emotionally integrate it's evolutionary journey (inconjunct to Cancer). Is that explanation an accurate understanding of these principals? JWG said true channeling does occur but is very, very rare because the ego within the consciousness of those that can truly channel becomes displaced during the channeling itself. And he used the analogy of a 10,000 watt bulb coming through a 5 watt bulb which then causes the entire system of the one who is truly channeling to burn out more quickly than normal. Thus, true channeling is then a Pisces, Neptune, and 12 House archetype. True channeling requires that the egocentric, Moon, structure within the the consciousness of the Soul becomes dissolved while the channeling is taking place. Dissolving the egocentric structure is a Pisces, Neptune, 12th House archetype. So, yes, true channeling is a combination of Aquarius, 11th House, and Uranus with Neptune, 12th House, and Pisces. So for example, could Venus in Pisces in the 7th house, in and of itself with no rulership or aspecting to anything of the Aquarius archetype, relate to the phenomona of channeling? Or would that Venus have to be in the 11th house, aspect Uranus, aspect something in Aquarius or the 11th house, or be the ruler of the 11th house cusp etc for the possibility of true channeling to occur? From what I understand from the teachings so far is that channeling is a purpose that has nothing to do with the individual will of the soul. Rather, when it comes to true channeling, the soul is completely dissolving it's own egocentric structure in order to be completely receptive to the channeling energies/material etc. Therefore my hunch would be that as a general rule the possibility of true channeling correlates to the Pisces archetype in synthesis with the Aquarius archetype because a soul needs to be free from the totality of all suppressed memories (Aquarius) in order to serve as a pure extension of divine will (Pisces). Would the Cancer archetype also need to be a part of that as well as in the end, all experiences are integrated through the emotional body... and thus the the ego itself has to be surrendered? OR, perhaps a synthesis via rulership/aspects between the Aquarius/ Pisces archetypes isn't neccesary- but rather both the aquarian and piscean dynamics are operative in a chart as they are in order for channeling to potentially occur? 3. Do you, or any ea teachers know of John of God? 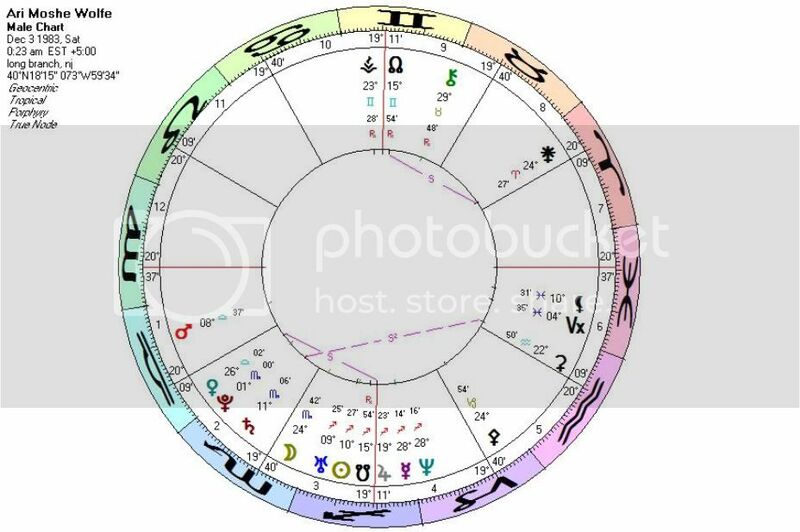 If so, I would like to post his chart so we can understand channeling through his example. I wanted to share this bit and ask a few questions. This is about the electrical signals of Creator's INTELLIGENCE. Mercury correlates to what you can consciously recall in the form of memories, or that which you have learned or been taught. But Uranus correlates to all the memories and knowledge that have ever come before; that which you can not necessarily recall consciously. For example, this would be the area that the hypnotherapist would enter with respect to prior life, or the past of this life, issues that are impacting on your reality (Saturn) at any moment in time. Mercury, Gemini, and Uranus all correlate to what you call electricity. The root principle or cause of the created universe is INTELLIGENCE which is projected through the medium of electricity. This manifests in almost unlimited diversity; form. Uranus correlates to the projected creation itself, whereas Mercury/Gemini correlates to the specific lines that this projected creation takes; somewhat like any source of electricity that is harnessed and channeled through electrical wires or devices. One of the forms of projected creation is the human brain whose evolution is dependent upon the production of what you call dendrites. Uranus in Gemini, as a generation, has a unique power or gift to evolve the brain in an accelerated fashion. This is done through the accelerated production of dendrites. The production of dendrites reflect insightful thought and realizations into the nature of reality which have not come before. This is accomplished through inner discovery, or projected outwards through external scientific investigations and "discoveries" or "inventions". As an example of inner investigations that will allow you to discover the nature of reality, simply ponder or meditate upon the nature and origin of thought; it obviously exists, yet does not have material form. For those of you involved in spiritual life, and have heard or read the Eastern principle of the formless form, the uncreated created, the causeless cause. You may have a direct realization of the nature of this apparent paradox if you do ponder the nature of thought itself. The nature of thought reflects the Uranian principle and truth of Creation projecting itself outwards, the totality of that which is projected reflecting the essence of the Creator (Intelligence). Is it true to say that their brains (for lack of a better word) is evolved enough to perceive, or close to perceive the thoughts of God, and then capable of projecting that formless intelligence through the medium of electricity to create actual form? Their brain (Saturn) acts as a receptor for divine thought (Uranus) which is consciously (Mercury) projected onto crops (Saturn)? This personally relates to me, but I ask this only in order to learn the ea of it all. I often experience ringing in my ears- especially when I "let go" and open my auditory senses to just hear all the subtle sounds. What fascinates me is that simultaneous to the ringing, I also experience many visuals- generally mandalas. If I focus on the visuals or the ringing too much, it all goes away. However if my awareness is calm and diffusive, (ie the egocentric structure isn't trying to control or monitor the experience)- then the mandalas become more profound and complex and the ringing becomes more and more layered with harmonies. Would you/someone mind explaining the ea meaning of this experience- what is actually taking place? If I have permission to do so, I would like to post my chart and share a recent past life recall that adds a lot to this experience. In my chart I have Uranus Sun in the 3rd conjunct the sn. Most Souls do not have conscious access to the prior life memories for one reason, and that reason comes from the Creator itself. And that reason is this: if most Souls did have such access they would become so consumed in those prior lifetimes that they simply could not, or would not, get on with the business or intentions for the current life being lived. This is why those memories remain unconscious for most. There is no 'crisis' between the Soul and the subjective ego it creates in any given life because the Soul IS THE ORIGIN OF THAT EGO. The Soul structure itself may have a variety of crisis within it, and the reasons for that, and that would then be reflected in the subjective egocentric structure it then created in whatever life. The way we were discussing the channeling in the other thread had to do with a Soul that 'channels' another entity that is not on Earth, i.e. Z.Z Knight and Ramtha, Jane Roberts and 'Seth'. This is very different than what you are exampling above. In those kinds of examples the Soul 'tunes into' what is called 'hyperspace'. Hyperspace is the dimension that interfaces between the Astral realms and the realm of Earth. By tuning into this hyperspace the psychic then reports what is been seen or tuned into to a client, or anyone who they are interfacing with for this purpose. A classic example of this of course would be Edgar Cayce. In the sleep state, he was a Pisces if I recall, he then tuned into this hyperspace in order to access the Akashic Records that served as the basis of what he saw or reported. The Souls that do this do not displace or dissolve their ego at all. It simply correlates to the evolutionary capacity that they have that is part of their Soul and the ego in any given life that they have. It does not mean that they are perfect by any means. Their own actual evolutionary capacity or ability is then the determinant of how much they can actually tune into via hyperspace, how clear or 'accurate' they actually are or can be. Many use tools like the Tarot Cards, astrology, etc as a vehicle to do this. There is no discrepancy here. Channeling as a 'phenomena' is indeed Aquarius. However, within Aquarius only the consciousness of the individual ego is sustained. And because of this the 'messages' that are then 'channeled' get mixed up with that ego: it's own subjective reality. Which then explains why so many 'channeled' messages conflict from one channeler to the next. "True" channeling, again, then is the linkage between Aquarius and Pisces where Pisces follows Aquarius. In that true channeling state there is no subjective ego to mix things up with. From what I understand from the teachings so far is that channeling is a purpose that has nothing to do with the individual will of the soul. Not true because the Soul and the ego it creates my make a choice for the channeling to occur. Rather, when it comes to true channeling, the soul is completely dissolving it's own egocentric structure in order to be completely receptive to the channeling energies/material etc. Therefore my hunch would be that as a general rule the possibility of true channeling correlates to the Pisces archetype in synthesis with the Aquarius archetype because a soul needs to be free from the totality of all suppressed memories (Aquarius) in order to serve as a pure extension of divine will (Pisces). Would the Cancer archetype also need to be a part of that as well as in the end, all experiences are integrated through the emotional body... and thus the the ego itself has to be surrendered? The Soul does not need to be free of it's own memories of itself, other lifetimes in order to serve as a pure extension of divine will. Cancer is one of the archetypes of the subjective ego that the Soul creates in any given life, and is part of the natural trinity of Pisces and Scorpio. In combination these correlate to the evolution of the Soul in general, and how that evolution is reflected in the subjective ego, Cancer, in each life. In the end this is about remembering our origins: God/ess. And, thus, aligning, consciously, our Soul/ will with that Origin. In so doing the subjective ego simply reflects that. So it's a matter of aligning our Soul, and the will within it, to the will of the Creator, the origin of the Soul in the first place. If that equals surrender in your terms, reality, then yes. He does not 'channel' in the sense of what was discussed above: channeling another entity. He does tune into the astral realms through attunement via hyperspace. He also, as many, many healers do, tune into the Soul of the others that he works with....interfaces with. And by tuning into the Soul of the other he then becomes aware of the entire history of that Soul. No. A Soul who is evolved enough to tune into the Natural Laws of the Creator in all of its forms WOULD NEVER do such a thing. Souls that have evolved to this point use their capacity, AS DIRECTED BY THE CREATOR AND OR IT'S AGENTS, to mainly heal and help others in various ways. Projecting crop circles in NOT ONE OF THOSE WAYS. The physiology of the brain in general is a combination of Pluto/Uranus .. Scorpio/Aquarius..8th House/11 House. There are specific physiologies within this that have different planetary/ sign/ house correlations: i.e. melatonin correlates with Neptune/ Pisces and the 12th House. Yes, thought is Uranus and Mercury. The brain itself, in general, is Uranus, not Saturn. The ringing is a progressive breakdown in the nerves...Mercury .. within the inner ear. The anatomy of the ears, hearing, is Mercury. The psychology of hearing is Venus. The visuals that you speak of are a manifestation of thought complexes within the brain. The thought complexes themselves are Uranian and Mercury, and the visuals of those thought complexes are the archetypes of Neptune/ Moon/ and Pluto. In those kinds of examples the Soul 'tunes into' what is called 'hyperspace'. Hyperspace is the dimension that interfaces between the Astral realms and the realm of Earth. By tuning into this hyperspace the psychic then reports what is been seen or tuned into to a client, or anyone who they are interfacing with for this purpose. A classic example of this of course would be Edgar Cayce. In the sleep state, he was a Pisces if I recall, he then tuned into this hyperspace in order to access the Akashic Records that served as the basis of what he saw or reported. The Souls that do this do not displace or dissolve their ego at all. It simply correlates to the evolutionary capacity that they have that is part of their Soul and the ego in any given life that they have. It does not mean that they are perfect by any means. Their own actual evolutionary capacity or ability is then the determinant of how much they can actually tune into via hyperspace, how clear or 'accurate' they actually are or can be. Cayce had a Pisces NN conj Mercury in Pisces. Libra on the third house cusp with Venus in Pisces conjunct Mercury and the NN. This is off topic: If you don't mind sharing- what is the nature of the crop circle phenomenon? And are you saying that the makers of the circles are not being directed from Creator to do so? Cayce had a Pisces NN conj Mercury in Pisces. Libra on the third house cusp with Venus in Pisces conjunct Mercury and the NN." For this to occur is not dependant for Gemini to be synthesized with Pisces. "2. This is off topic: If you don't mind sharing- what is the nature of the crop circle phenomenon? And are you saying that the makers of the circles are not being directed from Creator to do so?" Yes, in my view the crop circles are not being directed from the Creator. They have other sources. I will just leave it at that. So interesting. This interaction is both humbling me in regards to how little I actually understand, and also inspiring me to find out! 3 Pisces intuitives guided me into a past life (this was my first time going into the past- I don't know how true all of this is because they were telling me a lot of the story... however it does RESONATE very much within me). In atlantis- I am basically doing some far out experiments with light and sound. A bunch of other people that were in some way involved sadistically killed me using sound. They tied me up on a bed and exposed me to some sound/light frequencies- and my body or head actually exploded. ("shocked" emoticon for Uranus). Astrologically, I think the atlantis connection makes a lot of sense- the ruler of Neptune's nodes are conjunct in Sag in the third house conjunct my sn. From an interpretive point of view: the sn of Neptune is in my 11th house in Leo, ruled by the Sun conjunct Uranus on the s.n. This correlates to prior lifetimes in which I was involved in scientific community via the development of my brain’s capacity to directly perceive the underlying inherent principals behind creation. I stood out because of my eccentricity and excitement about learning. I was naturally enthusiastic about my studies and shared it indiscriminately with others (ruled by juptier, on ic conjunct Neptune= overly trusting and lacking tact) thinking that everyone would be interested, all the while being blind/naïve about evil. 1. What is the relationship between light and sound from an ea point of view? I.e sound and light seem to be one in the same- however we experience them separately. The Mercury archetype= physiology of hearing, however if someone is SEEING what they are hearing, is it always associated with the Moon Pluto Neptune archetypes? 2. Why are the visuals of the thought complexes associated with the Neptune Moon Pluto archetypes? 3. Does the Sun have anything to do with the physiology of seeing as we are discussing it? Sun is conjunct Uranus in the third house. 4, Is ringing in the ears an example of Uranus where the system blows out because the electrical impulses are (too quick? too high?) for the brain (Uranus) to process (third house)? Or is it associated with Mercury Neptune? It's confusing for me- they are all so linked in this chart. First, I won't comment on the past life that you were told about and sharing here. I will say that over many lifetimes that you have been told a variety of things, by a variety of sources, that you wanted to believe were true, but, in the end, simply were not. And that one of the ongoing intentions/lessons of your Soul is to sort out that which is true, versus that which is not. Light and Sound are simply part of the total Creation set in motion which equals time. Light and Sound are not the same. They are different natural phenomena. Visuals are always Moon, Pluto, and Neptune. In this moment that you read this imagine hearing the sound of a tree falling. Eyes closed. By imagining this sound you will inwardly 'see' a tree falling. The visual of the tree falling is because you have learned or seen this phenomena occur before, just as the sound that is associated with it. Thus, by imagining this second the sound of a tree falling, which is based on hearing it at some other point in your past, you automatically create the visual associated with it. The visuals of the the thought complexes are specific to the NATURE of those thought complexes. Yes, both the Sun and the Moon have specific correlations to the eyes, and seeing. Both are associated with Light. From the point of view of consciousness when the Soul is able to make it's sight single, when 'thy eye is single' as Jesus taught for example, then one's whole body, inner body, is full of Light. Ringing in the ears can have external as well as internal causes. If one is subjected to loud sounds, i.e. an explosion, that can damage the nerves in the inner ear leading to this ringing. Internally, the ringing in general is a function of the nervous system in general as the nervous system is in natural operation. For most this natural ringing is very, very minute. For others that ringing can increase as the Soul evolves it's consciousness because such evolution increases the amount of electricity within the nervous system. That increase would indeed be Uranian in nature. That increase in turn can wear down the natural sheathing on the nerves within the inner ear. As that sheathing wears down the consequence is the ringing. In your context, your chart, much of that ringing is being caused by the fact that your Soul has been asking so many questions about the nature of things for so many lives, and has exposed itself to so many sources of information, that the synapsal structure, Uranus, and the dendrites connected to the synapses, the neurons that move through them, Uranus and Mercury, have become overly heated or excited. And it is this over heating and excitement that then tears down the sheathing on the nerves in the inner ear manifesting as the ringing.